In the latest sign that the U.S. real estate market is improving, more Americans signed contracts to purchase homes in February than in nearly a year. The National Association of Realtors released the data, which showed that the seasonally adjusted pending home sales index increased 3.1 percent to 106.9 in February. That’s the highest it’s been since June 2013! If you’re preparing to list your home anytime soon on the local housing market, we encourage you to continue reading to learn more about this trend! 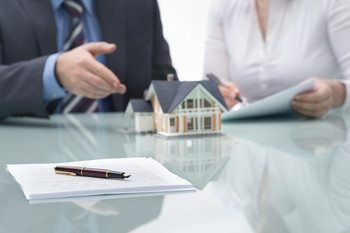 US Home Sales Are On the Rise! Buying activity increased in the Midwest and West during the month of February, although it actually decreased slightly in the Northeast and South. Existing homes sold at an annual pace of 4.88 million in February, which is slightly below last year’s levels. The supply of homes was just 4.6 months, compared to five months a year ago. It should be noted that a six month inventory is considered a balanced market. Average 30-year fixed rates were 3.69 percent last week, according to the mortgage giant Freddie Mac. That was down from a 52-week high of 4.41 percent recently. Home prices have increased 17 percent since the middle of 2012, which is when the market bottomed out. Analysts are particularly encouraged by the recent gains because it means that the housing market was able to overcome such unforeseen and uncontrollable hurdles like freezing weather and a particularly harsh winter. Experts say that the upturn suggests that the spring home buying season will be robust. They added that home sales are likely to be further supported since the unemployment rate is down to 5.5 percent. In fact, the unemployment rate is down to its lowest level in nearly seven years! And employers have added 3.3 million jobs during the last year, including 295,000 jobs in February. All of this is giving would-be home buyers more buying power as well as consumer confidence. This, in turn, is leading more to enter the national housing market in search of their dream home. We’re Your #1 Real Estate Resource! We hope you found the above information insightful as a prospective home seller. As you can see, it really is a great time to list your property on the market. After all, there’s plenty of pent-up home buyer demand and home sales activity appears to be picking up. Please check back here soon for more valuable insight on that national housing market and how it may impact you. We’d be happy to offer our expert insight in order to help you enjoy a successful outcome as a home seller!